Be safe. Read the labels! 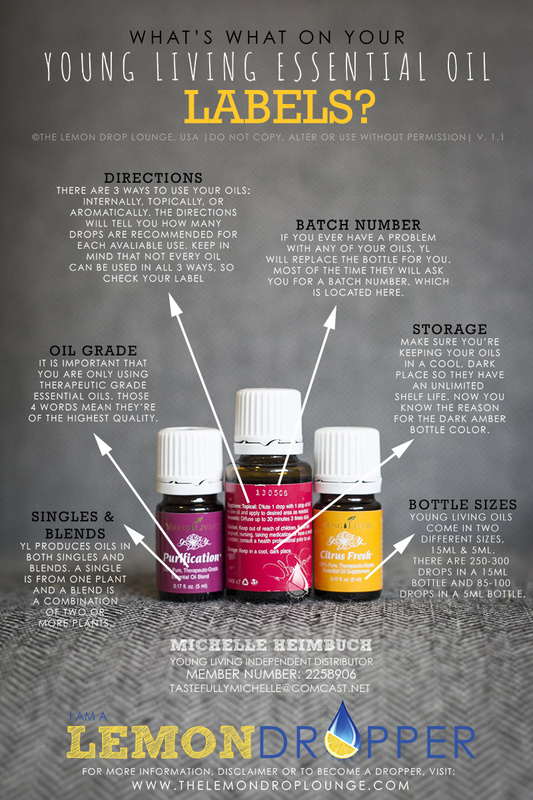 If you’re new to essential oils I hope you’re saying to yourself “how do I use them properly?” I’m glad you want to treat them with the respect that they deserve. Essential oils are potent gifts of nature. In order to maximize their benefits and prevent misuse you should know that all bottles are labeled with usage directions. It will state if you can use the oil topically, aromatically, and/or dietarily. Not all of Young Living oils can be injested, it depends on the plant, so carefully read labels. (Understand that not all companies manufacture or sell oils that can be injested, no matter the type of plant, because synthetics and other additives are used in their distillation process. Another reason to only use Young Living!) All of the recipes at Essential Cocktail are using oils that are labeled as dietary supplements meaning they are certified GRAS (generally regarded as safe) by the FDA. For more information on Young Living’s safety guidelines, see their website.